Re-establish classifications for Software Updates – this is to correct a known issue where the classifications are reset during the SP2 upgrade. This is done by going into Site Settings > Component Config > Software Update Point Component > Classifications tab. Re-establish products for Software Updates. This is done by going in the same SUP Component, but on the Products tab. Re-establish customizations within the default boot images. For example, we have trace32 in our boot images, so I needed to put them back. This entry was posted in ConfigMgr 07, How-To. You’re absolutely right Jay, thanks for the tip! M$ apparently still hasn’t figured out how to NOT replace an organization’s MOF customizations. Fortunately, my upgrade path was based upon my work in the lab, so I can add a step for this prior to my production upgrade. Thanks again!! I just realised I didn’t check whether MS added anything new to the mof’s. I restored from backup. :S Do you know if they have? Dont worry, I’ll check another backup! DO you have to upgrade to WSUS SP2? I cant see that listed as a pre-req or was it something you just done as matter of course? Also did you notice if you had auto client deployment turned on would it then automaticaly upgrade the clients ? What do I need to do for this step “Update the distribution points for any packaged SCCM clients” and how? I upgrade my Central and Primary servers to Server 2008 R2, installed SCCM 2007 SP1, restored DB, upgraded to SP2 and installed R2. I’m having an issue that I’m net getting status messages on my Primary server and all the Threads States = Stopped even though all the Services are running when you look at the Config Manager Service manager. Any ideas what I can do next. I have rebuild my environment a few times now and every time I get this. My Central Site Server is 100% now issues. Hi Miellie, I recommend posting this question in either (or both) MyITForum or the Microsoft forums. In point 9 you are talking about the secondary sites. If they have PXE roles (WDS installed) do I have to delete WAIK and reinstall the new version of WAIK or can this be done from the central/primary server console? Point 14 is good but how do you import trace32 into your boot.wim, by choosing create new boot image from MDT or by editing the boot.wim afterwards? Can you also edit the keyboard layout to another country with dism.exe? What’s the command? We want to upgrade our whole sccm infrastructure but I heard that the newest SCCM, SMSv5 will be out in 1 year I will only upgrade to SP2 and R3 but not the OS. I don’t think that WAIK is necessary on your PXE service point, just WDS. Though you may want to check that against product documentation. I agree, there is no need to upgrade the OS of your site(s). Hi, If I understand right you upgraded directly from R2 to SP2, right? Or was it from SP1 to SP2? Correct. My site server was already at SP1 with R2 before I upgraded to SP2. This is a great guide. Just one think to add if you’re running SCCM in Native Mode. 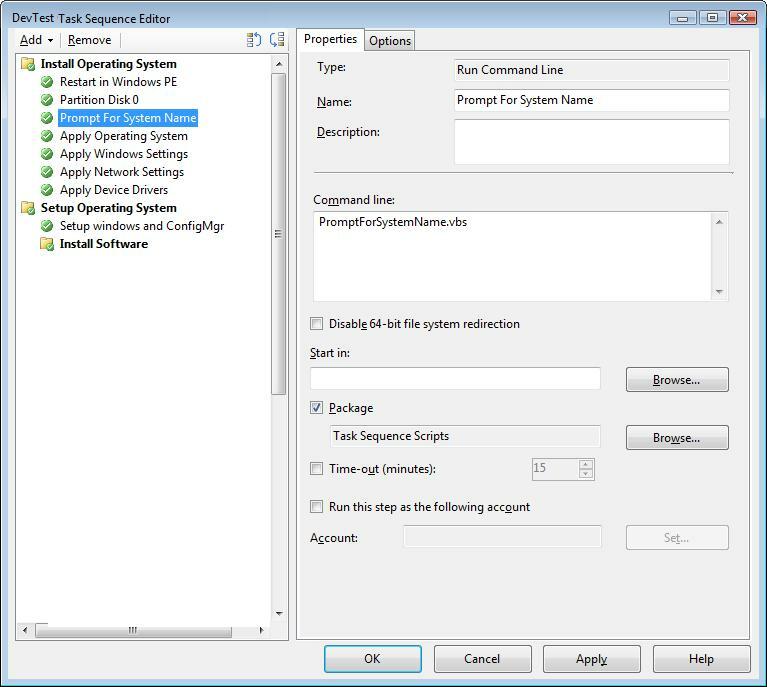 SP2 upgrade will remove your PXE boot certificate and you will have to import it again to make your OSD working. The certificate is still on the server (Certificate store) but you can’t see it in Certificates\PXE store in SCCM console. Thanks for the feedback and the additional tip! Also note that the previously-installed cert will also show up right afterwards and be in “Blocked” status. Point 11-> do you mean building a new sccm client package or can I just do an update/upgrade. How…? Point 14-> I use also trace32 but what else are you using? If your existing SCCM client package source files are pointing to \\ServerName\c$\Program Files (x86)\Microsoft Configuration Manager\Client\, then yes I mean update the DP as the SP2 upgrade will automatically update the client install files. Otherwise you will need to build a new client install package. The only other customization I had to my boot images (at the time) was a custom image – this you will also need to readd to it. Recently I implemented HTA support into my boot images, so if I were to do the upgrade at this time, I would need to reimplement that functionality. You talk about uninstalling WAIK but at what stage do you install the newest version? Right after? Thanks for asking Karl…that is a good question. If I remember correctly, the installation of SP2 automatically installs the latest WAIK, so there was no need to have a specific step to reinstall WAIK. With that said, the reason for having the specific step to manually uninstall WAIK first is because SP2 couldn’t do it. 1) Why SCCM 2007 R2 is so small? Does it need SCCM 2007 with SP1 first? 2) What about SCCM 2007 with SP2? Why is it not mentioned as SCCM 2007 R2 with SP2? Is it for BOTH pre-R2 and R2? 3) What is the proper path to follow for a clean installation? 4) What are those international client packs? R3 is currently in Beta (http://www.microsoft.com/systemcenter/en/us/configuration-manager/cm-r3.aspx) but cannot remember when it is going RTM. Maybe Q4 of this year? Did you just upgrade the already existing sites via the SCCM console sitting on the primary server, via the standard “upgrade secondary site” option? Just want to confirm this before doing anything.